Fill out this form and make an appointment to quickly ,and conveniently get cash for your car. Selling a Used Old Damaged Wrecked Lost Pink Slip or just Ugly Car? At Cash4CarsSanDiego.com when we come to you ,we are equipped to handle all of the necessary DMV paperwork, smog certification ,and transportation of your vehicle, taking the sting out of selling a used car. Sell My Car - Easy! With ease Cash4CarsSanDiego.com saves you from negotiations with professional salespeople, listing your vehicle in the newspaper ,and from any chance of fraudulent payment. 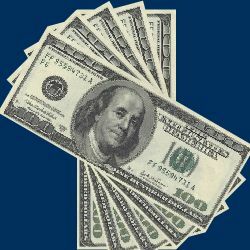 Cash4CarsSandiego.com buys used vehicles in California, fill out our online form for a quote today. No Title? No Problem. No Smog Certificate Required. Out-of-State Title? No problem! Sell Your Vehicle in 'As-Is' Condition. Get Cash Fast ! # 1 Cash Donation Service. Junking a car? No problem. 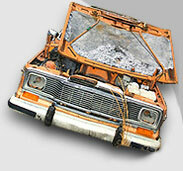 We remove junk cars for free. Donate Car for Cash. We tow all types of cars. 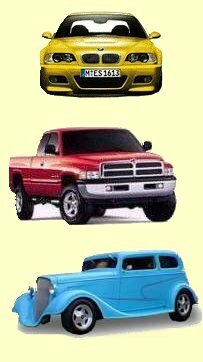 Classic cars Trucks and Sports cars. No pink slip? No problem. Get money for your used auto. Junk my car in San Diego. FREE! please include all the damage that you know of below. San Ysidro and Otay Mesa (City of San Diego), and Imperial Beach. Cars 1999 and below that are not running are now Junk. Let us know what is wrong with this vehicle.